In February, council supported my motion to speed up construction of a key section of the Waterdown east-west bypass. The stretch of the bypass from Centre Road to Avonsyde Boulevard will be final — designed by Dillon Consulting, a consulting firm that has been working on the bypass project for the last decade. This motion was also supported and recommended by staff. Stay tuned for information on the budget for Flamborough, to be approved by council this spring. The 2019-2020 garbage tags and Recycling & Waste Calendar will be mailed to residents within the next few weeks. As of April 1, leaf and yard waste including grass clippings will no longer be accepted in green bins — please use a brown paper yard waste bag or an open top rigid reusable container marked with a yard waste sticker (included in each Recycling & Waste Calendar). Styrofoam containers and black plastic, such as takeout trays and coffee cup lids, are no longer accepted in the containers blue box and are now garbage. Please join me at the next Flamborough-Waterdown 100+ Women Who Care meeting on Wednesday, April 10 from 7-8 p.m., at Grace Anglican Church Hall, Waterdown. This fabulous group of women are truly making a difference in the Flamborough community. Appreciation to Doris, Heather and Lena for your leadership. One hundred per cent of donations go directly to local charity. Visit www.100womenflamborough.ca and let’s Build Community Together. — Keep your pets safe indoors when the weather gets bad and temperatures drop and do not leave them in vehicles as they act as refrigerators in the winter, keeping the cold in. — Please clear your sidewalk — it is difficult for many of us to navigate snow covered routes, especially our seniors and those with small children. — If you are able, please move parked vehicles of the street to assist snow plows and give them lots of space. If you need help, call my office at 905-546-2713 or email through website www.judipartridge.ca. If you see me in the community, please stop and say hello. 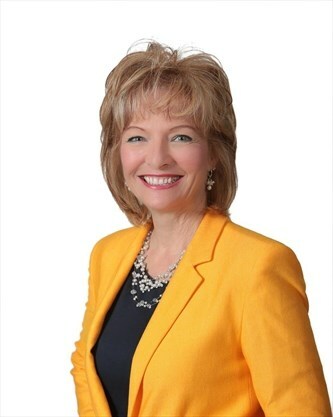 — Judi Partridge is the Hamilton city councillor for Ward 15, Flamborough, Waterdown, Carlisle, Freelton. She can be reached at judi.partridge@hamilton.ca or 905-546-2713.